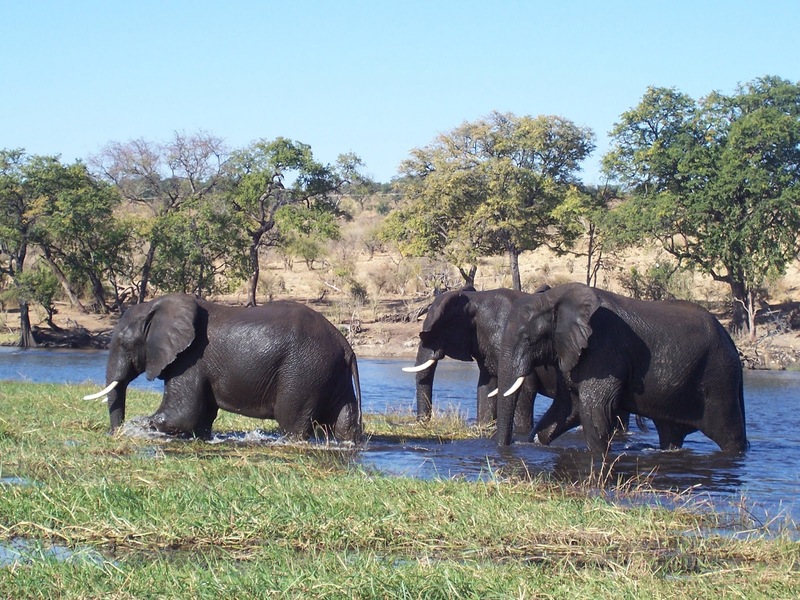 Turns out those elephants did make it out the river in one piece after all! I knew you were dying to know.... more than wanting a picture of this recipe anyway. Phew. I thought we'd begin with 'Goulash and Dumplings' which epitomises the very reason this blog was created. This was one of the first vegan recipes I can remember being a recipe that was shared. My mum veganised it for me from a vegetarian recipe book (Good Housekeeping, Step by Step Vegetarian Cookbook, 1997) and I just remember it tasting SO good that I wanted to shout it from the rooftops. Since then it has been made countless times, I have shared it with friends, with family and with housemates both at home and abroad. So here it is, my first chance to share with you a simple recipe I love. Peel the potatoes and possibly the carrots, if you don't like the skins, and cut them into cubes (2cm ish), then boil until they are nearly cooked, just to give them a head start. Chop the onion in half and then thinly slice it into half rings. Chop the garlic finely too. Fry these up in a deep pan with some olive oil. When they are starting to brown off, add the potato and carrot cubes for about 5 minutes. Add the vegetable stock, passata, tomato puree to your liking, thyme, paprika and bay leaves. Season with salt and pepper to taste. Leave the pot to simmer gently for 30 minutes. In the meantime, cut the red peppers into thin strips and fry them in some olive oil. Letting them blacken a bit around the edges is a nice touch. In some more meantime, combine the flour, salt, suet and tarragon in a mixing bowl. Use your judgement with the addition of water until you get a dough that isn't too sticky. If you add too much water by mistake, add a little more flour to dry it off. Mould the mixture into dumplings. I prefer fewer, larger dumplings, but you can try lots of little ones if you'd prefer. When the 30 minutes of simmering is up, add the red pepper strips and mix in thoroughly. Place the dumplings evenly on top of the goulash so they are sitting comfortably on the surface, just slightly submerged. Cover the pot with a lid and leave to simmer again for a further 25 minutes without removing the lid. When you do remove the lid, the dough should have puffed up leaving you light and fluffy dumplings. I hope you enjoy my gorgeous goulash!